There was a time when shocking horror movies were cloaked with an avante garde artsy feel. Clearly it could be taken as a mish mash of shock and awe. Either you were disgusted and repulsed or could find the inner meaning and theme of this short by Nacho Cerda. All in all, it was a must see for it's content that few dared to take on. The early 90s indie horror scene went beyond depravity, it was a measure of undiluted filmmaking with creating something raw. Can a viewer from 2013 know that a short like this was one of the Holy Grails of underground horror? These days, it's easily accessible, point and click. But can it still strike emotion? Disgust? Pure horror? That's for you to decide. Go ahead and watch Nacho Cerda's infamous short. Are you jaded or are you shocked? In the early days of this blog, I would every now and then get an e-mail about a trailer/screener for non horror movies. I would take a look at the trailer and see if it was worth a watch. I'm an avid supporter of indie cinema and when I saw Dan Eberle's The Local (full review here) I really dug an authentic NYC underbelly. The NYC grime and crime you can only get from independent cinema. Later, Eberle returned with Prayer to a Vengeful God (full review here) which was more experimental and raw. I gave both movies 3 spinkicks and realized NYC's indie scene is still powerful and refreshing than I ever imagined. 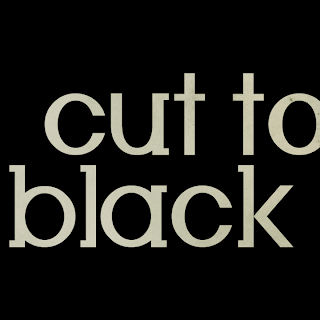 Eberle is back with a new movie called Cut to Black. Here be the plot. Bill Ivers, a disgraced ex-cop, is hired by a wealthy former friend to rid his estranged daughter, Jessica, of a petty a stalker. Soon, Bill finds himself interceding in Jessica's increasingly complicated life: caught between the crushing debt of a dangerous loan shark, and the specter of her father's shadowy past. Cut to Black is a story of desperate people living in the wake of bad choices, trying to make the most of what's left of their time in this world. Nobody gets away clean in this tough story of love, loyalty, and the inevitable conclusion we're all headed for. Color me excited except this film is in black and white it seems. I love Eberle's NYC, the characters he's created and the seemingly rawness of his stories. Looking forward to this one.